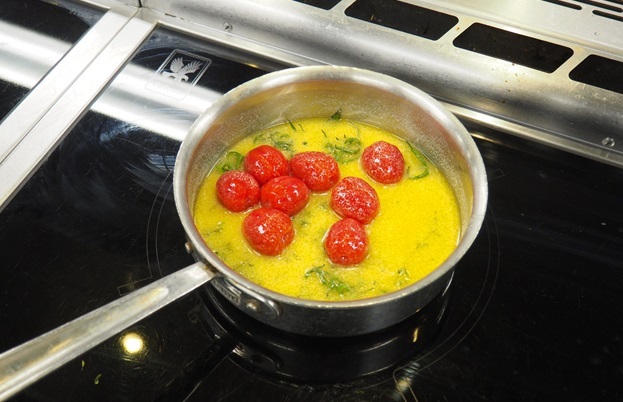 We teamed up with chef Paul Foster to showcase the beautiful flavour of British tomatoes to see how a few simple ingredients can be transformed into a perfectly balanced dish, and how home cooks can make the most of their incredible taste. May marks the beginning of British tomato season and sees bright red, juicy varieties filling shop shelves across the UK. 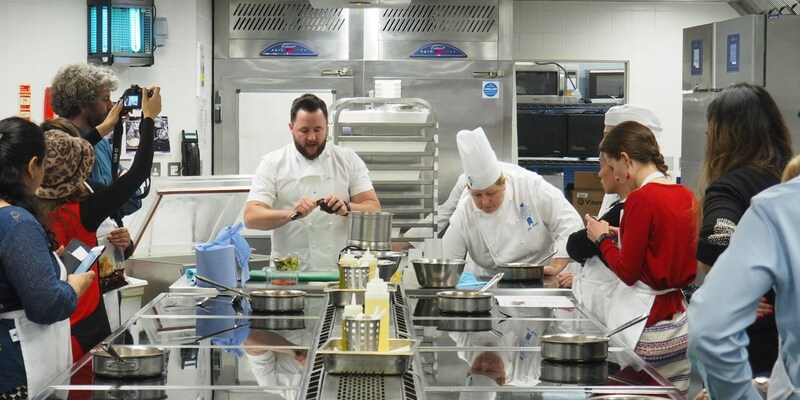 As part of British Tomato Week (16–22 May) we invited top chef Paul Foster – who is due to open his own restaurant, Salt, in Leamington Spa later this year – down to Le Cordon Bleu to host a masterclass showcasing just how good these homegrown fruits can be. Fresh, ripe tomatoes are a world away from the out of season, watery and bland varieties that are all too often stocked in the supermarkets. ‘A good tomato has to be really red,’ says Paul. ‘You should also be able to smell them from a few feet away; they’re the ones you’re looking for. If they’re on the vine, even better. 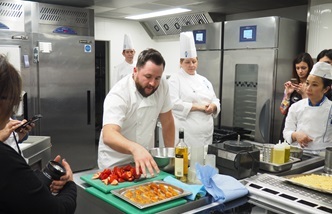 The dish Paul demonstrated was his Plum tomato tart with Parmesan biscuit, avocado and chorizo. ‘I actually designed it last year for a culinary exchange I took part in with Mexico,’ he says. ‘Tomatoes were at the height of their season over there and I wanted to create something that celebrated that. It’s quite elegant and delicate, like something you’d find on a tasting menu, and is all about totally balanced flavours. The contrast between the confit and picked tomatoes really brought to life just how flavourful the fruit can be. Cooking the peeled tomatoes over a very low heat in lots of butter (with the tomato stalks included for added flavour) lent them a rich, almost pizza-like flavour, while sealing the others in a vacuum bag with vinegar and brown sugar retained their freshness with a sharp, sweet taste. For quite a simple dish it looked and tasted stunning, which just goes to show that sometimes quality ingredients are all you need.